Take her breath away with this ravishing, romantic bouquet that pairs deep red roses with whisper-soft shades of lavender and pink. 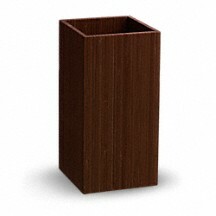 She'll love the fabulous flowers, she'll love the beautiful bamboo vase, and best of all, she'll love you! 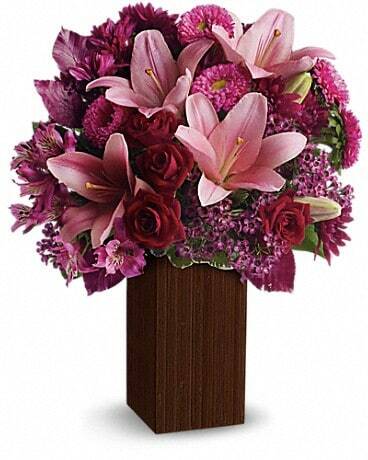 Superbly crafted of high-quality bamboo, this stunning designer tall vase is from Teleflora's exclusive "Flowers in a Gift" collection. 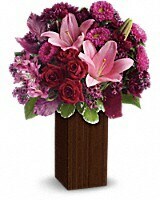 Perfect for exotic bouquets, and a stylish décor piece displayed alone.